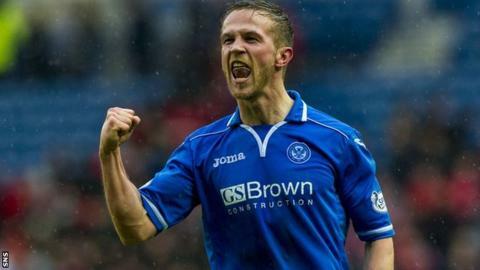 St Johnstone midfielder Chris Millar has signed a two-year contract extension with the Perth club. The 31-year-old, who recently scored his first goal for nearly four years, has committed to the Saints until 2017. Millar was part of the Scottish Cup-winning side of 2014 and has made 245 appearances for St Johnstone to date. "I've had seven great years at McDiarmid Park, and hopefully the next two are just as good," he told the club's website. It comes in the wake of Millar's fellow midfielder David Wotherspoon signing a new deal last week.